Lakeside opened their home campaign with a vital 50-40 win over Peterborough in the Championship Shield on Friday. 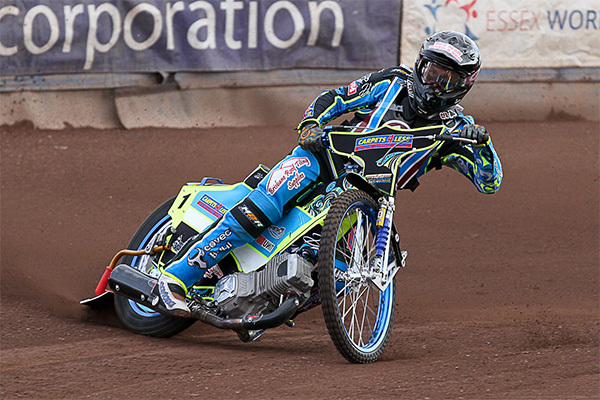 The Panthers arrived on a high after their shock win at Ipswich 24 hours earlier, which also meant the Hammers could afford no slip-ups in the battle for top spot in the group. The result means matters remain very much in their own hands, although it is likely that they will need to avoid defeat when they visit Ipswich themselves on April 21 if they are to top the standings. New No.1 Nick Morris showed his undoubted class with a 14-point haul from five rides, and a rock-solid display from the Hammers’ top five saw them record just one last place all evening, that coming from skipper Richard Lawson in the very last race. But Lawson had already taken two important wins himself, and with Adam Ellis, Kyle Newman and lively reserve Zach Watjkencht also enjoying heat successes, the Hammers had enough to see off some stubborn Panthers resistance in front of a good crowd at the Arena-Essex Raceway. Unlucky Alfie Bowtell fell in his first two outings – having made good starts on both occasions – and a win for the Panthers’ Ulrich Ostergaard in Heat 4 briefly levelled the scores. But although the Hammers were prevented from recording a 5-1, they did reel off a series of 4-2s in the second half of the meeting, with back-to-back advantages in Heats 9 and 10 putting them six points up. Lawson defeated Scott Nicholls in Heat 11 only for the Panthers to immediately send out the multiple British Champion in the next race as a tactical substitute – but Ellis gated fast and rode superbly to take a fabulous victory. With Morris clear in Heat 13, Lawson had the crowd on their feet again as he split Ostergaard and Nicholls on the third lap to extend the lead to eight points, and victory on the night was secured by a popular Wajktnecht victory over Michael Palm Toft in the next. With group points all-important, it was still vital that the Hammers prevented the Panthers from recording a 5-1 in Heat 15, and Morris was up to the task to race clear of Ostergaard and Nicholls although Lawson was squeezed out on this occasion. Hammers boss Will Pottinger said: “It was a hard-earned victory, and Peterborough put up a very strong fight. “We managed to slowly pull away during the second half of the meeting, which showed good character from the riders. 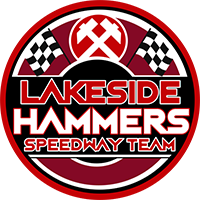 Hammers return to the Arena-Essex Raceway next Friday (April 13) for the re-arranged Shield clash with Ipswich, which will be another must-win encounter. Nick Morris 14, Richard Lawson 9, Adam Ellis 8, Zach Wajtknecht 8, Kyle Newman 7, Ben Morley 4+2, Alfie Bowtell 0. Ulrich Ostergaard 12, Scott Nicholls 9+1, Nike Lunna 7+2, Emil Grondal 4+1, Michael Palm Toft 4, Simon Lambert 3, Tom Bacon 1+1.